Reanna Gutierrez is a writer and IT Marketing Specialist with over eight years of experience in IT management services. She writes for OneNeck IT, a leading provider of IT managed services. Finding good IT managed services can be tricky nowadays. This is especially true for small business owners who are on a tight budget or just switching over to the cloud. For many, the advertising copy for IT hosting services can sound like an entirely different language. Our philosophy is simple: IT’s not just about solutions, IT’s also about relationships. At OneNeck, our commitment to excellence in high quality service and solutions is driven by our promise to always do what is best for the clients. 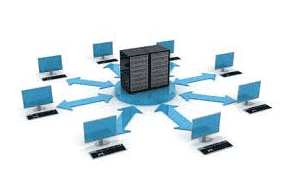 We focus on fulfilling the needs of our clients by providing them with enterprise class infrastructure and services. We deliver support through industry-leading cloud technology and superior data center services from our world-class facilities.